historical event: Napoleon's famous victory at the Battle of Austerlitz enabled him to throw the Austrian Empire to its knees. One of the most famous Napoleon’s victories – the one at Austerlitz – occurred on this day in 1805, exactly one year after he proclaimed himself Emperor of the French. Austerlitz, after which the battle is called, is now part of the Czech Republic, more precisely eastern Moravia. Austerlitz is a former German name for the town that is today called Slavkov. The Battle of Austerlitz is also called the Battle of the Three Emperors, because the official army commanders on the battlefield were – French Emperor Napoleon, Russian Tsar Alexander, and Austrian Emperor Francis. In reality, Napoleon really did personally command his army, but the Austrian Emperor Francis was not a professional strategist, so he was only nominally at the head of the army. Tha Austrian army was actually led by Prince Johann von Liechtenstein, and the entire Russian-Austrian force was commanded by the famous Marshal Kutuzov. Napoleon’s victory is described as a brilliant strategic success. Indeed, the battle is sometimes used as a textbook example of a great victory. 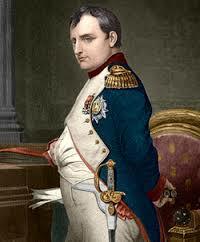 Bonaparte was very pleased with his troops, so that each man was financially awarded. 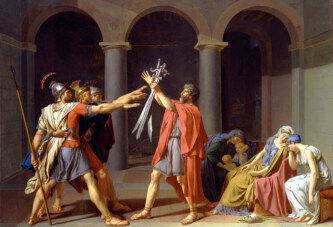 Interestingly, Napoleon personally adopted the children of the French soldiers that were killed, and they were given the right to add “Napoleon” to their name and surname.